The name Ghibli itself reflects the forward moving style of the film studio. Named by Hayao Miyazaki, the word is taken from an Italian noun meaning “hot desert wind.” This captures the idea that the studio would be a “new wind” in the animation industry. When traveling from Tokyo to the Studio Ghibli Museum, begin at either Tokyo Station or Shinjuku Station. 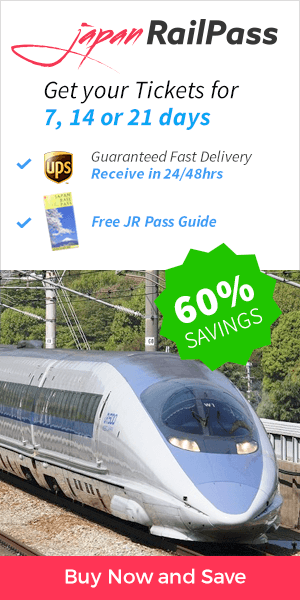 Using your Japan Rail Pass, go from your station of choice on the JR Chuo Line to Kichijoji Station or Mitaka Station. Trains depart for Mitaka every few minutes. From Tokyo Station, the trip to Mitaka lasts about thirty minutes; from Shinjuku Station, approximately 18 minutes. 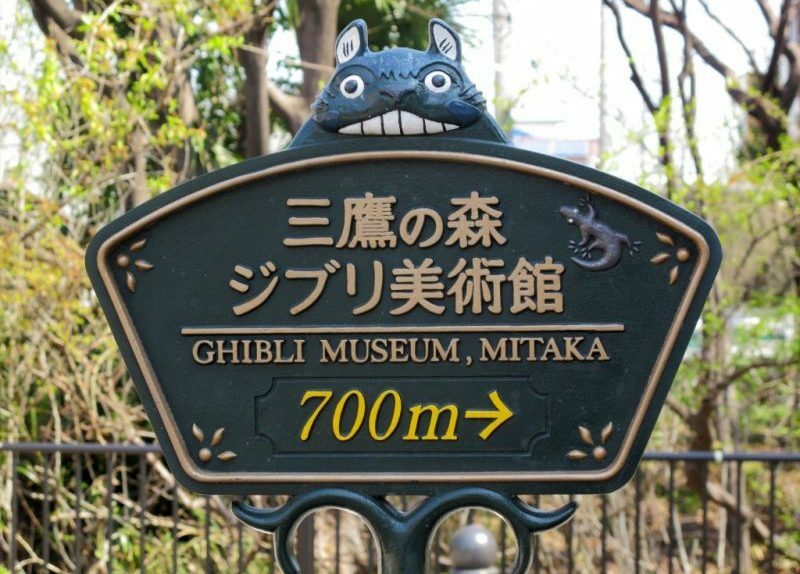 The Ghibli Museum is located on Kichijoji Avenue, and it is just a 20-minute walk from the south exit of Mitaka Station, or west exit of Kichijoji Station. A shuttle bus is also available from Mitaka Station, brightly decorated with Ghibli characters. Bus tickets may be purchased at the bus stop vending machine. Round trip tickets cost ¥300. Visitors to the museum must purchase tickets in advance of their visit. 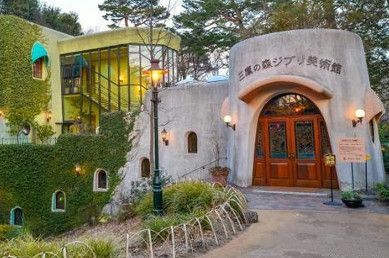 Tickets may be purchased through the Ghibli Museum official website. These reserved tickets are valid only for their date specified. Admission fees are ¥1000 for adults, ¥700 for children aged thirteen to eighteen, ¥400 for children aged seven to twelve, and ¥100 for children aged four to six. Children under four years old may enter the museum free of charge. When you hand your booking coupon at the ticket booth, you will receive a real 35-mm movie slide, which will be your entry ticket for the day. Opening times are Wednesday through Monday, 10:00 AM to 6:00 PM. The museum is closed on most Tuesdays and on several national holidays. There are also a few days each fall when tickets are reserved for local residents and two 10-day maintenance periods in May and November. Please check the Ghibli Museum website for exact information. Even before you arrive at the museum, you will see whimsical statues and decorations adorning the building’s exterior. 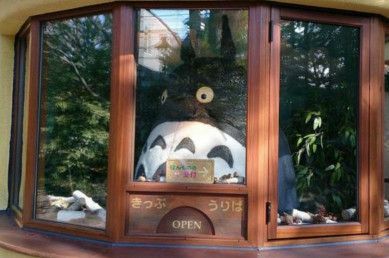 Included among these is a large statue of Totoro at the museum’s entrance. A robot soldier from Castle in the Sky (1986) stands guard on the roof. The ceiling inside the entrance, called the Space of Wonder, is a fresco painting that includes a blue sky, mystical plants, and beloved Ghibli characters. The museum itself contains an array of interactive displays and movie-themed sets. One room, for example – the Central Hall – is fitted with a maze of staircases reminiscent of the unusual buildings featured in Miyazaki films. Each year, there is a different annual exhibit which often brings vintage animation memorabilia out of the archives. Exclusive short films to the Ghibli Museum can be viewed in the Saturn Theater. 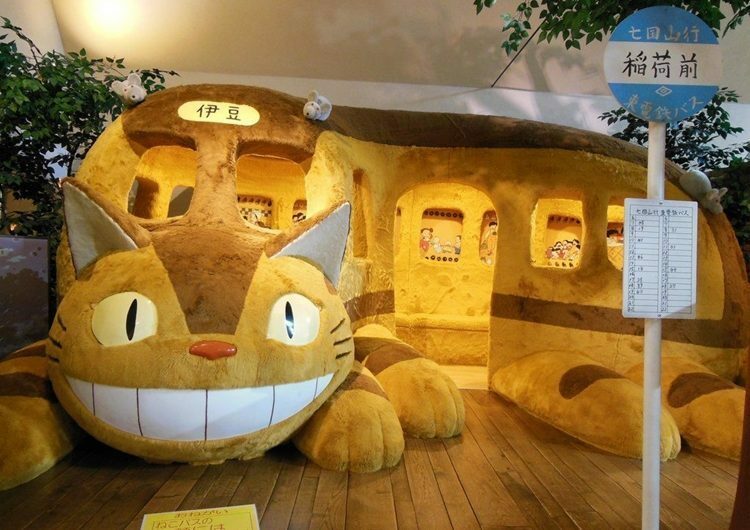 Elementary aged children can play on the enormous plush Cat Bus. Children and adults alike can read in the “Tri Hawks” Reading Room, a pun on the town name mi-taka, which means “three hawks.” Nature lovers can relax in the roof garden or the park-like setting around the building. The Straw Hat Café provides food and beverages that can be enjoyed on an outdoor deck. Cat Bus, from “My Neighbor Totoro”. Finally, the Mamma Aiuto Ghibli Museum Shop is designed to be as inviting and enchanting as the museum itself – it is named after Porco Rosso’s (1992) sky pirate characters, and mamma aiuto means “mother, help me” in Italian. The shop features handcrafted merchandise not available anywhere else. 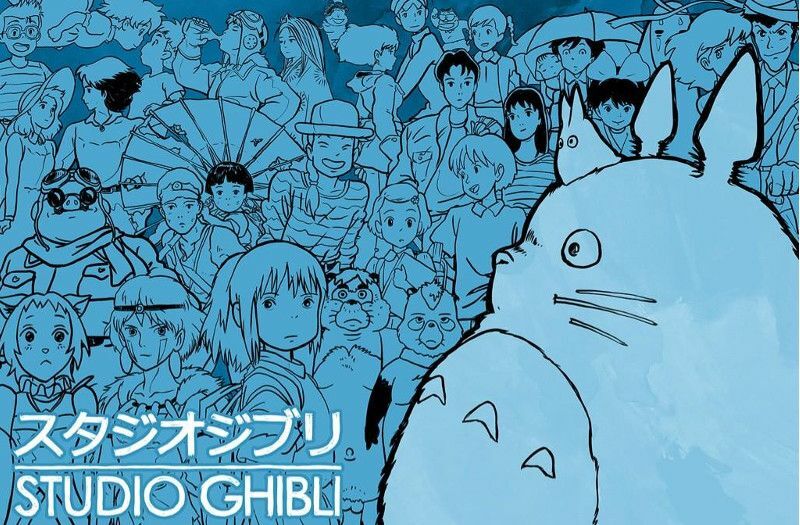 The “Art Collection” is also for sale – woodblock prints, hand-painted print cells, and other items used in the making of Studio Ghibli films. Other outstanding souvenirs include clothing, cushions, pop-up postcards, ornamental stands, cookies, chopsticks, and of course, soundtrack CDs and films in DVD and Blu-Ray. Coin operated lockers are also available at the museum to store your gear while you look around. Visit the Ghibli Museum! Tickets must be purchased in advance, since they are not sold in the museum itself, so it is recommended to book tickets in advance, and they usually sell out soon! 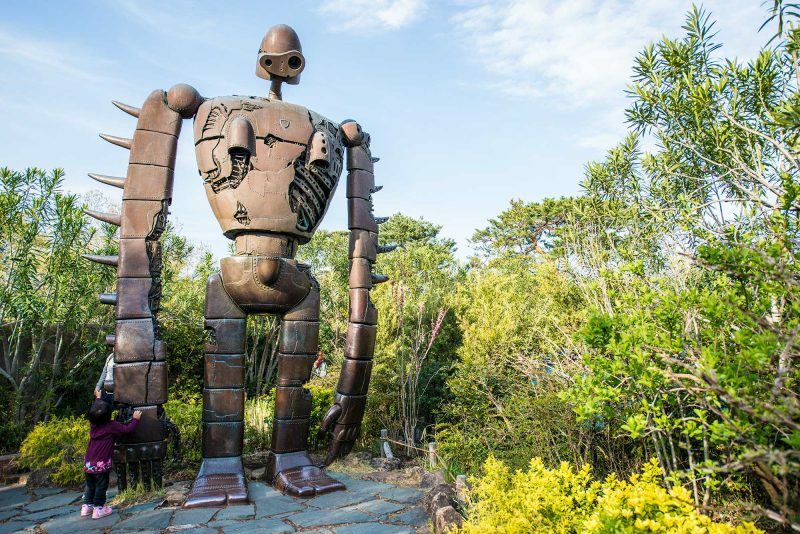 Visit the Ghibli Museum and also the Edo-Tokyo Open Air Architecture Museum, where you can experience the atmosphere of historic houses and streets that inspired some Studio Ghibli films. Includes a lunch at the Gajoen Hotel in Tokyo. Learn about the exhibits during the bus trip with your expert guide.